The name “cosmetic veneers” leads most people to think that this dental solution only provides a prettier, whiter smile. 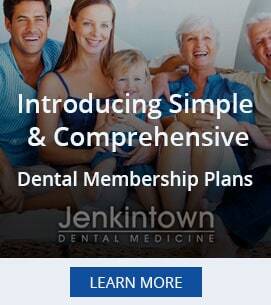 What any dentist in Jenkintown will tell you, however, is that they can actually fix a wide variety of issues. By knowing more about them, you may find they are the ideal option for your dental situation. Also known as dental veneers, cosmetic veneers are coverings that are customized coverings for the surface of your tooth. They can be used for one tooth, several teeth or even all of your teeth if needed. They are made of materials like porcelain or resin and replicate what healthy, natural teeth look like. The color is customized to match your existing teeth or create a matching full set in a shade you and your dentist decide on. In most cases, veneers are applied across three visits. The first visit is to determine whether it is a viable option and what it would involve for your situation. The next would be for the imprints, or impressions, the dentist would need of your teeth to have the veneers custom made. Finally, you would go in to have them put on. This starts with making sure there’s a perfect fitting of the veneer to the tooth, then polishing and etching it before applying adhesive and attaching the veneer. No surgery, gas, or anesthetic is typically necessary! Because of the way they are made and applied, cosmetic veneers can fix a variety of common issues. For example, a chipped or cracked tooth is easily taken care of with a veneer. If your teeth are uneven, have gaps between them or are just worn down, veneers can resolve these issues. In every case, it will make the overall health of your teeth better by improving the strength of the teeth and even your bite. So, while you’ll certainly be able to smile without feeling self-conscious, you’re also preserving the life of your teeth. If you’ve wanted to fix any of these issues, ask your dentist in Jenkintown about cosmetic veneers. It could be the answer you’ve been hoping for!